One of the great things about the iPhone as a camera is that people don't know whether you are taking a picture, or just tweeting. 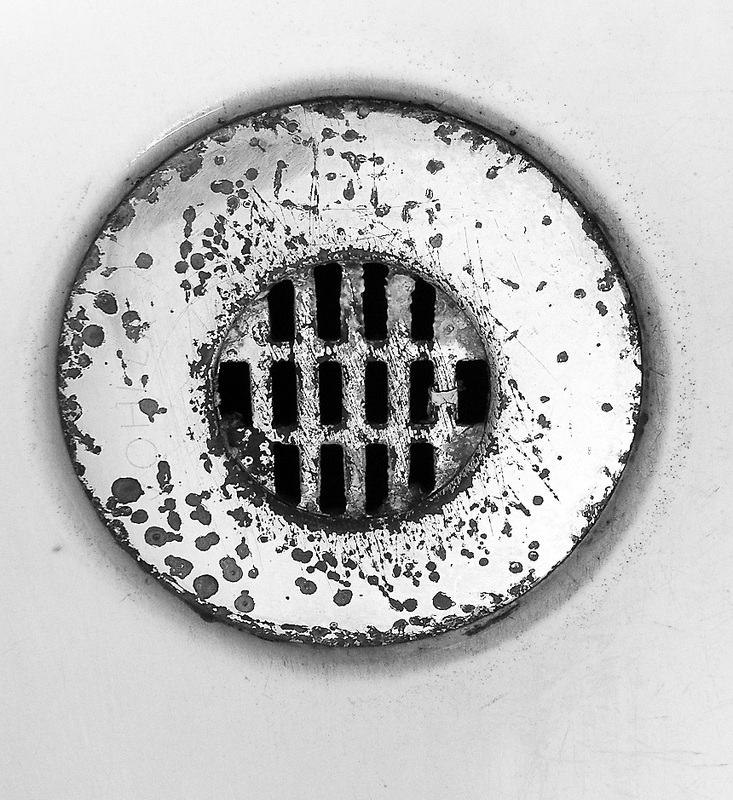 I was struck by the graphic quality of this sink drain and wanted the picture. But it can be mildly odd to hover over things like sink drains with a large DSLR while people stare at you. But with the iPhone you can just act like you are checking your schedule. And, of course, I don't carry my DSLR and lens assortment everywhere, but I sure do have the iPhone.